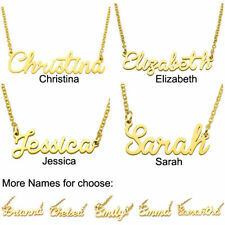 Necklace Type: Pendant Necklace. 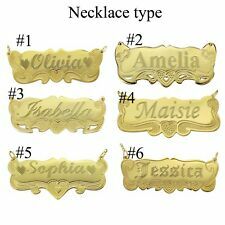 Item Type: Necklace. Chain Type: Link Chain. Font Style: 9 Different Styles (Shown in Images). This is (custom made jewelry). We appreciate your patience. 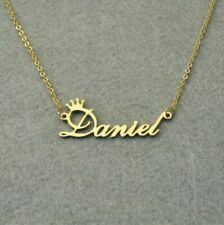 Item Type: Necklace. This is (custom made jewelry). We appreciate your patience. Clasp Type: Link Chain. B. Font: Choose the font you want! 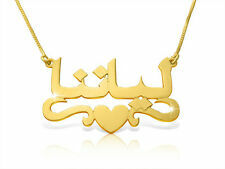 (See Product Pictures)C. Necklace Color: Gold or SilverSample:1. A. "Ashley;" B. Font 1 Monotype Cursive, Silver Color2. A. "1 Brianna 1;" B. Font 6 Script Mt. Gold Color3. 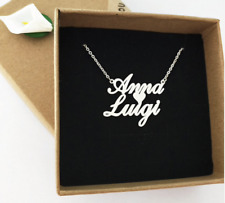 Personalized Gift Sterling Jewelry Silver Necklace Any Name Plate Necklace S18"
Personalized Gift Sterling Jewelry Silver Necklace Any Name Plate Necklace S18". Condition is New with tags. Shipped with USPS First Class Package. DESIGNER DOGEARED. 18" in length, and closes witha spring clasp closure. Weight is approx. SMALL BUTTERFLY CHARM PENDANT NECKLACE ~ 18". STERLING SILVER. Trending at $45.92eBay determines this price through a machine learned model of the product's sale prices within the last 90 days. Marina DeBuchi Silver Plated Necklace, Letter "M". 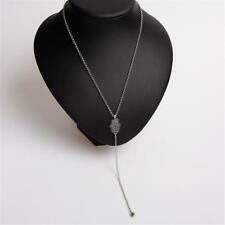 Chain is 17" Long with 3" Extender and Lobster Clasp. 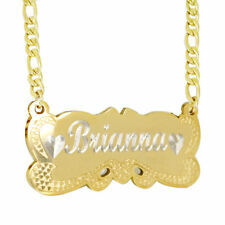 Note: We do not personalize or engrave. 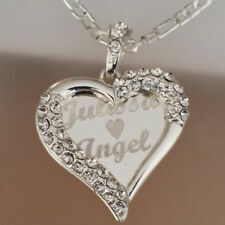 You will receive the necklace that is shown in the picture. ,Events or Special Place and more. When you leave the leave engraving details, you can add emoji: heart, crown, cross, arrow. 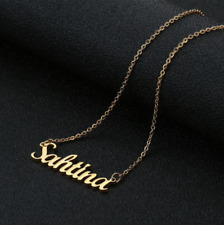 Material: Gold-plated Stainless steel. A. Necklace Color. Wrap your jewelry in a soft cloth after use or cleaning.